Yes it’s true! 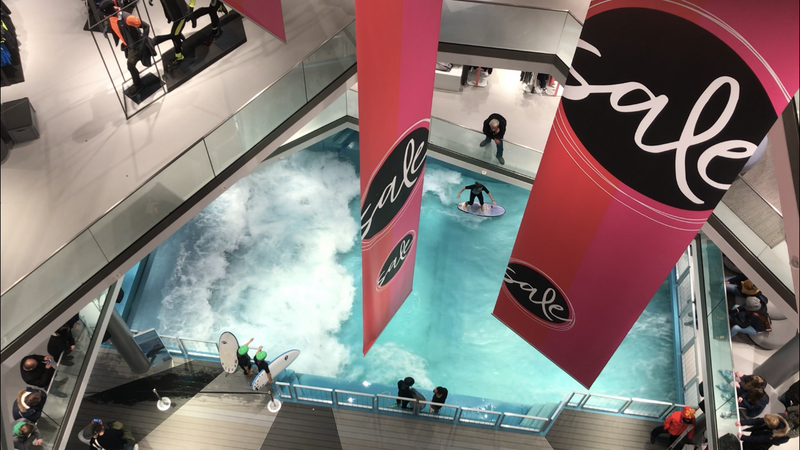 You can now surf, (or as close to it on an artificial wave) inside a shopping centre in a city called Osnabrück in North West Germany! 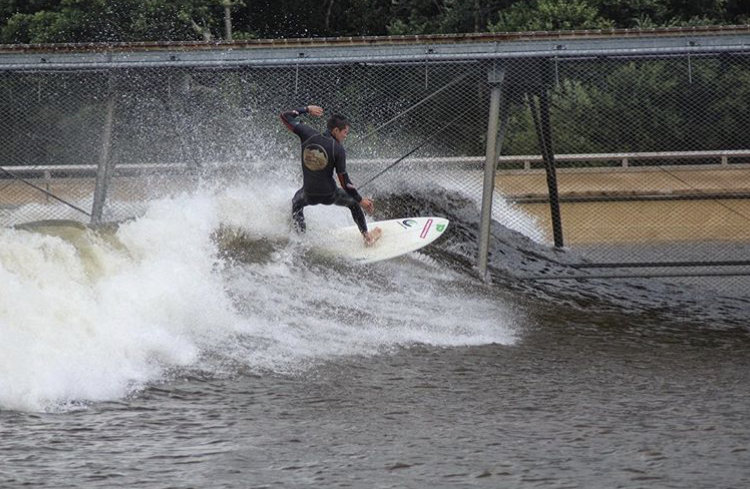 Surfing the Osnabrück Citywave® is like no other surf experience we’ve ever come across. 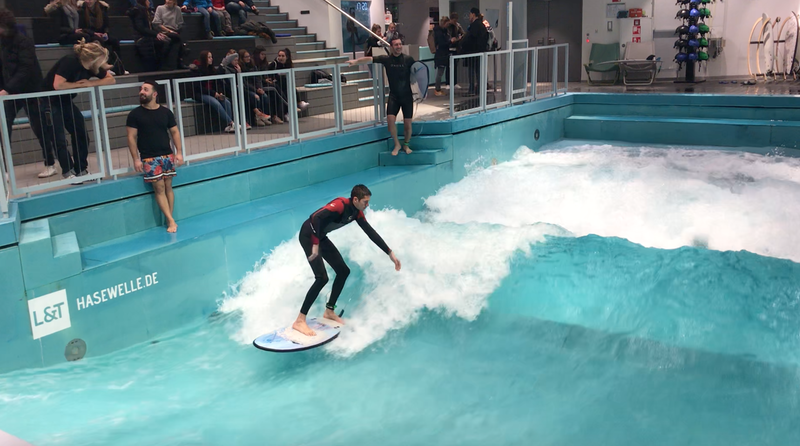 Since we surfed at Surf Snowdonia Wales in 2017, artificial waves have been created in huge numbers worldwide. 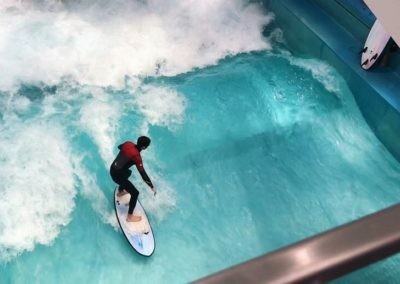 The WSL alongside Kelly Slater have even created an official World Surf League stop at the landlocked mid Californian artificial wave park. 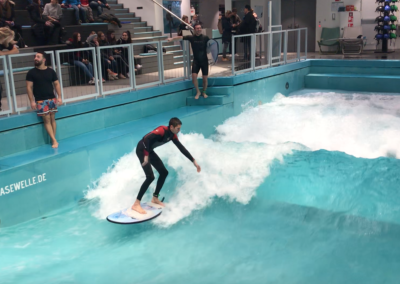 With this growth we have now seen surfing officially recognised as an Olympic sport and it cannot be denied artificial wave parks will definitely play a fundamental part in the future of surfing. So surfing in a shopping centre… this is the next level of adapting humans into wave riding mammals. 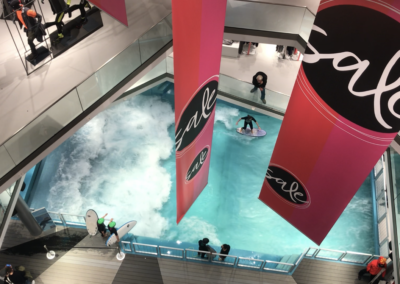 In the small city of Osnabrück you can go shopping for your groceries, maybe some clothing and then go for a 45 minute surf! We even met people in our session who had swapped out there gym routine entirely for a few sessions a week on the Citywave®. Riding the Citywave® takes a small amount of time to adjust to from ocean waves, and it is similar to a river wave in the way that the water is approaching you from the front at an incredible speed. But once you have mastered how not to bog the rail into the current, you suddenly feel the thrill very similar to surfing an ocean wave! After 15 minutes of attempts it had clicked and to say the least we left Osnabruck feeling stoked! Check out these photos from our session on the Citywave® Jan 2019 and Surf Snowdonia 2017. 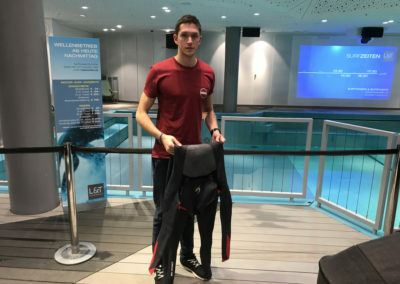 Thanks to Lengermann & Trieschmann for the experience, to all the staff that work on the wave and of course Citywave® for creating this machine!